Some of Ontario’s most vulnerable residents can be found on the campus of McMaster University in Hamilton. But they’re not students. They are the premature infants in intensive care at McMaster Children’s Hospital. As part of Hamilton Health Sciences hospital system, McMaster Children’s Hospital is home to the biggest neonatal intensive care unit (NICU) in the province, where the tiny infants receive the medical care that could help improve their delicate health and save their brand-new lives. And it’s here in the NICU that a groundbreaking new technology is being tested. Artemis is a new health analytics platform that applies real-time, online big-data analytics and data-mining principles to analyze patients’ vital data (such as heart rate, blood-oxygen levels and other clinical data) collected from medical monitoring devices. Each baby connected to Artemis generates the data equivalent of 1,000 tweets every second. The amount of data ORION supports from all 50 bedspaces in the McMaster Children’s Hospital NICU alone compares to the data volume of a constant feed of an ultra-high-definition movie. Using the power of advanced research computing, Artemis creates an integrated picture of the patient’s health and uses predictive analytics to identify risks, allowing doctors to intervene with crucial medical decisions much earlier than they otherwise would. In the NICU, Artemis promises to promote faster treatment of neonatal anaemia, neonatal apnoea, and late-onset neonatal sepsis. Dr. Edward Pugh, clinical lead at McMaster Children’s Hospital, has worked on the Artemis project since 2011. He believes doctors everywhere will soon come to rely on the new technology. Reducing the risks associated with taking blood from tiny patients who don’t have much of it means better care for premature infants across Ontario. And cost reductions mean resources can be reallocated, ensuring all babies have the care they need when they need it, ultimately saving even more lives. But to succeed, Artemis needs a private, reliable, high-capacity network to stream the data to advanced computing facilities. Such continuous monitoring can’t be vulnerable to interruptions caused by data bottlenecks; it must be of the highest quality. That’s where the partnership with ORION comes in. The potential benefits aren’t limited to the NICU at McMaster Children’s Hospital. ORION spans the province, which means that even hospitals in remote rural communities can gain access to a reliable, high-capacity network. By connecting to Artemis through ORION, those remote health care facilities could access advanced, real-time analysis, allowing physicians to intervene more quickly, and reach out to specialists when necessary. While Artemis was initially designed for use in neonatal and paediatric intensive care units, its architecture can be expanded to many other areas of medicine, allowing for improved care to patients of all ages. In fact, Artemis has been adapted to monitor the health of astronauts on NASA missions. And ORION is proud to help. Dr. Carolyn McGregor is the higher education recipient of the 2018 Leadership Award. She is the two-term Canada Research Chair in Health Informatics at the University of Ontario Institute of Technology. She has conducted pioneering research in big data analytics, real-time stream processing, temporal data mining, patient journey modelling and cloud computing. She now uses this research to drive progress in critical care medicine, mental health, astronaut health and military and civilian tactical training. Her work allows hospitals to use predictive analytics to make smarter health-care decisions. At ORION, innovation comes first. The ORION leadership awards celebrate outstanding achievement and innovation using ORION’s digital tools and expertise. Whether it’s ground-breaking researchers sharing huge amounts of data or students in a classroom using technology to learn, it’s all about making Ontario — and the world — a better place. We honour this innovation and dedication annually with the ORION leadership awards. 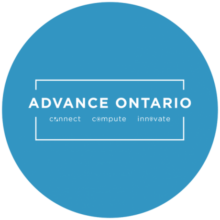 Submit your nominations for the 2019 leadership awards, presented at the Advance Ontario conference.